Friends of the Dallas Public Library, the Dallas Public Library and local children's authors have teamed up with Parkland hospital on a literacy campaign called "Books for Dallas Babies." The book "Read to Me" is available in English and Spanish and English and Vietnamese. The bilingual book gives moms instructions on how to read to her child and features illustrations of parents and children of different ethnic groups. A new initiative underway at Dallas’ Parkland Hospital is giving away free bilingual books to moms who’ve just given birth. The plan is to give away as many as 14,000 books this year. Since Jan. 1, all moms having babies at Parkland Hospital have received a copy of this book. The pages are filled with rhymes in English and Spanish and English and Vietnamese as well as colorful illustrations of parents with their children. Trish Holland, a Dallas children’s author, got the idea after hearing a news report about a study on the literacy gap between Latino and white children. She was inspired to do something. Trish Holland is a local children's author. She was inspired to help reduce the literacy gap between Latino and white children after hearing a news report about the problem. The study, out of UC Berkley and published in the Hispanic Journal of Behaviorial Sciences, said poverty, culture and language all play a role. But one way to help these kids is by reading to them starting at birth. Holland reached out to different people, including Friends of the Dallas Public Library, the Dallas Public Library and children’s book publishers. They raised $35,000 – enough to buy 14,000 books. Holland thought Parkland would be a good place to distribute the books because it has one of the busiest maternity wards in the country. Many of the babies are poor and born to moms who speak Spanish. Holland said the book “Read to Me” stands out because it features parents and children of different ethnic groups. As she read from the book, the message resonated with her. 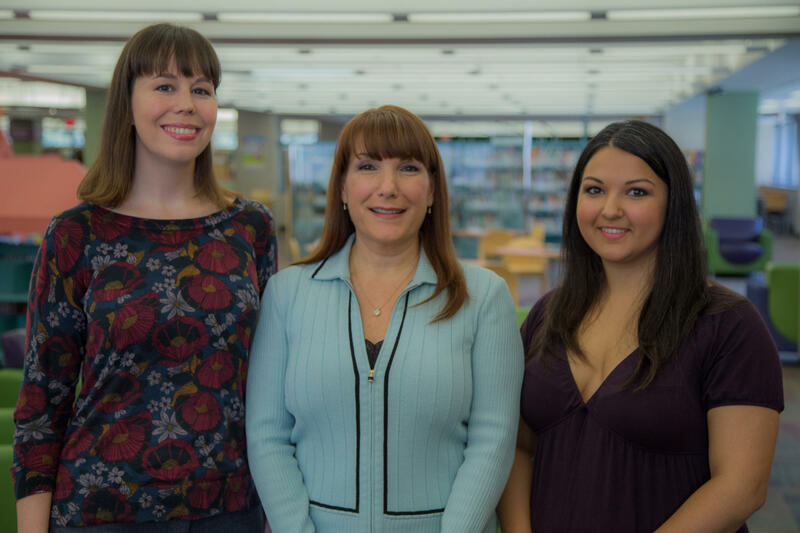 Kate Park, executive director of the Friends of the Dallas Public Library; Jo Giudice, Dallas Public Library Director; and Jasmine Africawala, Community Engagement Administrator for the Dallas Public Library, were involved in getting the literarcy campaign off the ground. Library advocates said the book goes a step further by giving parents reading tips. The first pages tell parents they can cuddle with their child as they read. They can show emotion with their face and voice. And they can point to and name pictures in the book. “This is encouraging and really helping empower and teach new moms to be their baby’s first teacher,” said Kate Park, executive director of Friends of the Dallas Public Library. Park said the effort also introduces parents to the library. The book includes a list of suggestions, like get a free library card and bring your baby to story time. 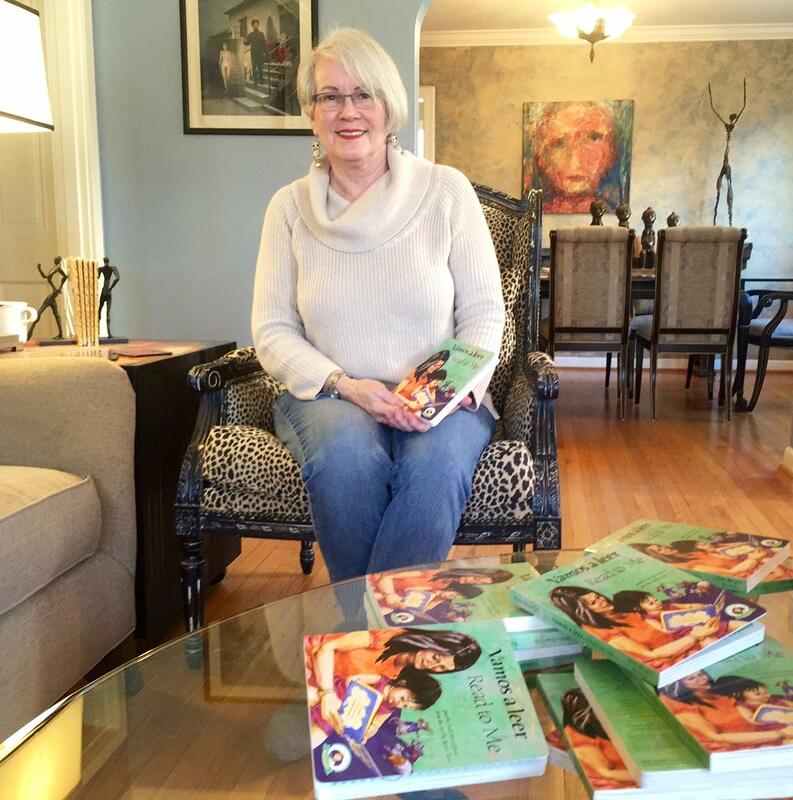 Judi Moreillon is the author of “Read to Me,” and a professor at Texas Woman’s University in Denton. She wrote the book to inspire more parents to read to their kids. Parkland officials said they’ve given out about 350 books so far, as well as a listing of all of the Dallas public libraries. She said the book is a beautiful idea because today’s kids are glued to technology. When she leaves the hospital, she said, she plans to read her new book -- not just to her baby, but to her other children, too. KERA examines common health issues in our series Vital Signs. In this edition, a problem common to many – weight gain. A possible solution may lie in how much you sleep. Dr. Ryan Hays, Director of Sleep Medicine at Parkland Hospital System and Assistant Professor of Neurology & Neurotherapeutics at UT Southwestern Medical Center, explains how one affects the other. Adult coloring books are sweeping the nation. Many say they help relieve stress and unlock their inner artist. The Friends of the Dallas Public Library caught onto the craze and put together a book of their own, hoping to raise a little money. Over a thousand coloring books later, sales are still going strong. No late fees, no due dates and no shushing librarians. Those are just some of the perks of the Little Free Libraries program. Several of them are popping up in neighborhoods across Dallas this summer.